Note: Each 15 second station constitutes a mini-AMRAP. For example, at the Thruster station, you have 15 seconds to perform As Many Thrusters As Possible. Todays workout focuses on generating maximum intensity and power-output as quickly as possible. Athletes can choose their “start station” but must honor the prescribed method of rotation. Thruster weight for men is 115lb. and women 75lb. For the Weighted Pull-up, use up to 35lb. for men and 25lb. for women. Weight and skill modifications will be made available in the gym. Good luck and safe travels to Greg Amundson who will be Master of Ceremonies for the Fitness Throwdown today at the 2014 California Narcotics Officers Association conference where he will be presenting the benefits of CrossFit for Law Enforcement Officers. 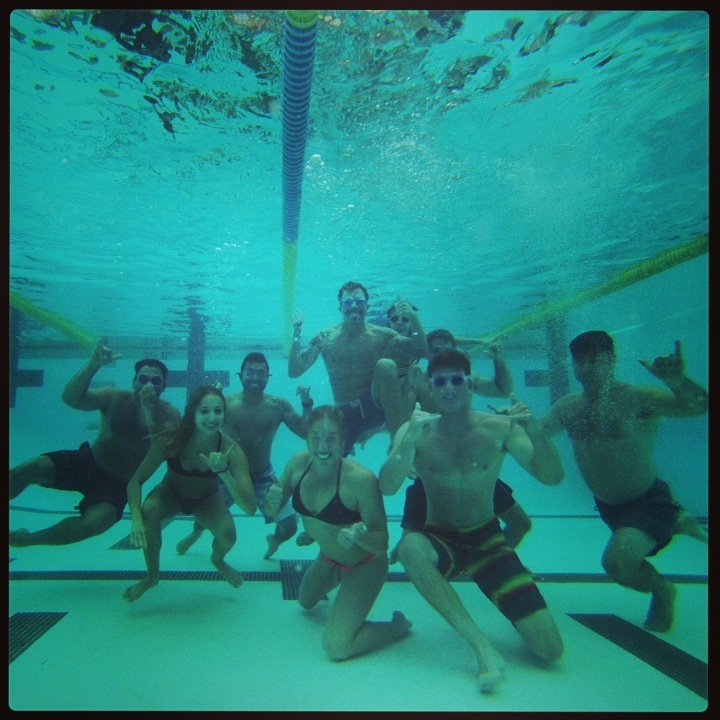 During the Endurance Workout on Tuesday, November 16, 2014, Lee, Scott, Cole and Greg pushed their mental and physical limits like never before. Following an 800 meter race in which Lee finished in 2:49, Scott in 3:01 and Cole in 3:29, the men rested less than two-minutes then completed three sprints up Big Bertha Hill.